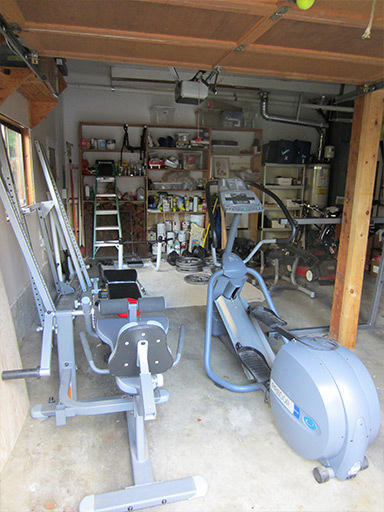 One of our reasons for buying a house was so that we could build a home gym into one half of the garage. 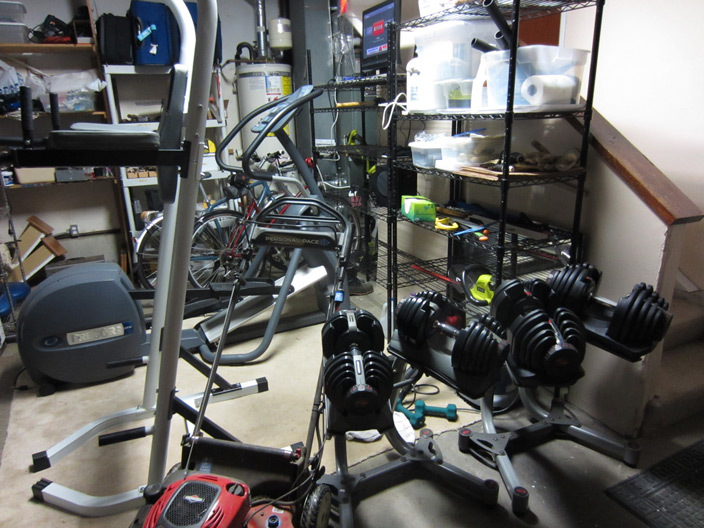 This month, we worked towards that goal with the purchase of some gently-used gym equipment. So we moved stuff around a few times until we finally got everything inside, and accessible, and with enough room for the car (who is now very happy). 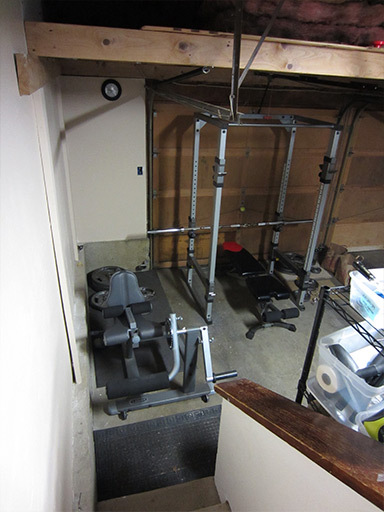 Our rack, weighs, bench, and leg curl machine go where our storage shelves, old vanity (we destroyed it), and garbage bins used to go. Everything’s cramped but accessible. This arrangement isn’t ideal, but I already have some ideas for improving it. The elliptical faces a TV I brought down from upstairs, which I connected to a low-end $50 Roku for access to Netflix and other channels while I air-jog. And the speakers connect directly to any device with a headphones jack, such as an iPod, for some good, loud workout music. It’s always open! Even on holidays! 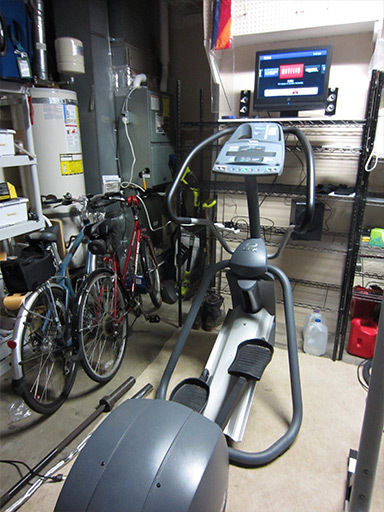 Our home gym continued to evolve – read an update about our home gym here!